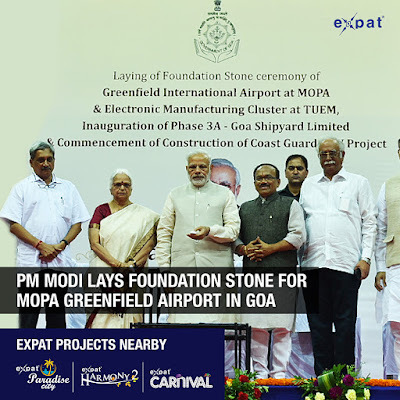 Prime Minister Modi on sunday unveiled plaques to mark the foundation stone laying of Mopa Airport during a function at the Shyama Prasad Mukherjee Stadium, at Taleigao plateau. Watch your investment reach its full potential ! Get ready for sky rocketing appreciation !